Dozens of undecided voters gathered in St. Louis last night for the second presidential debate between Hillary Clinton and Donald Trump, hoping the candidates' answers might better inform their ballots in November. Co-moderated by ABC News' Martha Raddatz and CNN's Anderson Cooper, the town hall forum allowed for a select group of uncommitted voters to pose questions directly to the candidates, covering issues from health care to civil rights to Trump's caught-on-tape moment boasting about groping women to leaked emails from Clinton's camp. 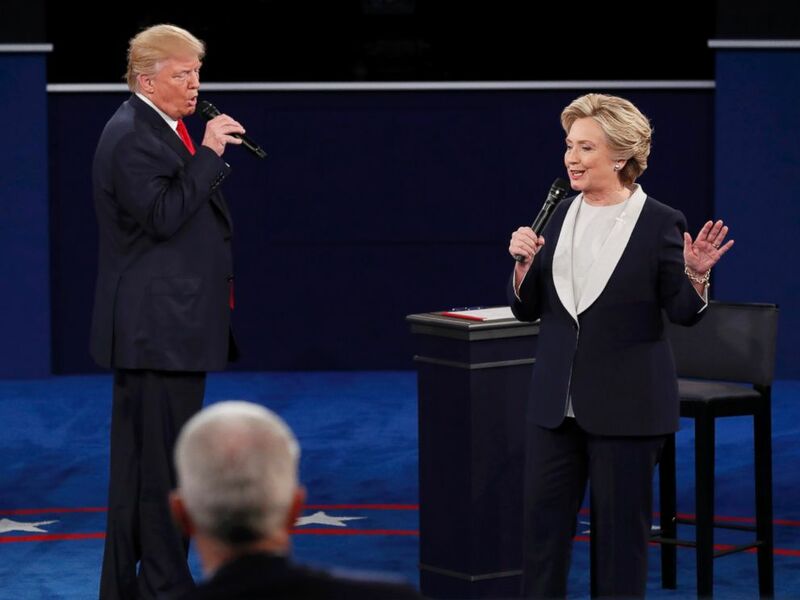 Donald Trump and Hillary Clinton speak during their presidential town hall debate at Washington University in St. Louis, Missouri, Oct. 9, 2016. But after 90 minutes of political sparring, were voters any closer to a decision? ABC News has been following three undecided voters in three battleground states: Pennsylvania, North Carolina and New Hampshire. Lacey Dickinson, 28, says she leans toward Green Party candidate Jill Stein but could be persuaded to vote for Clinton. Peter Macone, 32, says he hasn't heard enough from Clinton to pull in former Bernie Sanders supporters like him. Carolyn Garavente, 24, says she needs more convincing that Trump can represent her party and her interests. All three watched the debate last night. Hear what they had to say the morning after, above.